This year, Little B is having his room redone. Spiderman is leaving us. Can't say that I'm incredibly disappointed by that! I'm also not sure how much longer I can call him Little B since he's only about 2 inches shorter than I am! I suspect by the time school begins next in August, I will be looking him straight in the eye. Needless to say, it's about time he got a room that's more...tweenish. The only problem with all of this is Little B has a new obsession and wants me to do his room around that particular obsession. Tweenish it is not. To be truthful, I'm sort of excited to Geek Out his room. Hopefully some of you are already getting excited for this project with me...because you KNOW already what I'm turning this dresser in to. Hopefully it will be as epic in reality as it is in my head. Here's my lame attempt at an inspiration board. I do plan to buy the Van Gogh inspired poster and maybe some other fun posters and frame them. I want a cool graphic element on the walls that won't compete with the dresser. I was hoping to do a grey or silver on the walls, but Little B already vetoed that. Crazy kid. Any suggestions? Links to awesome etsy shops? OH...could you paint your own crack in the wall? Like the time and space crack in Amy Pond's wall?? Maybe using glow-in-the-dark paint? 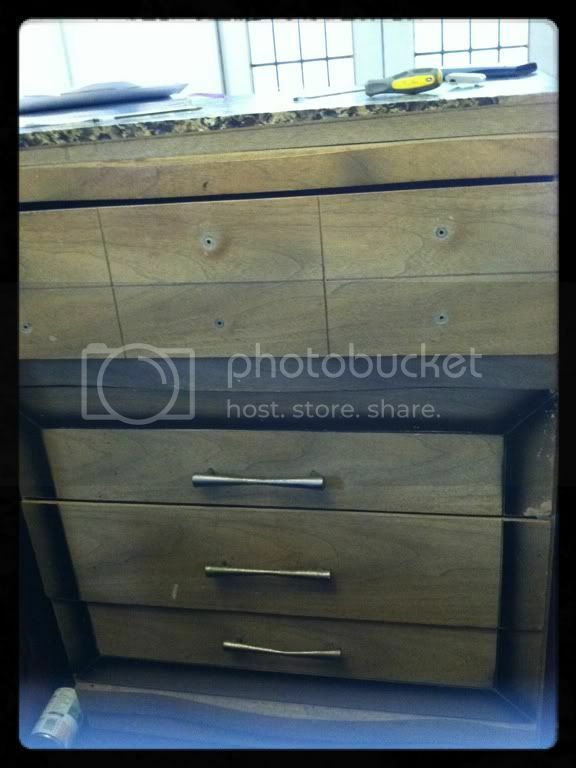 Steamy Brass and copper colors inside the dresser? 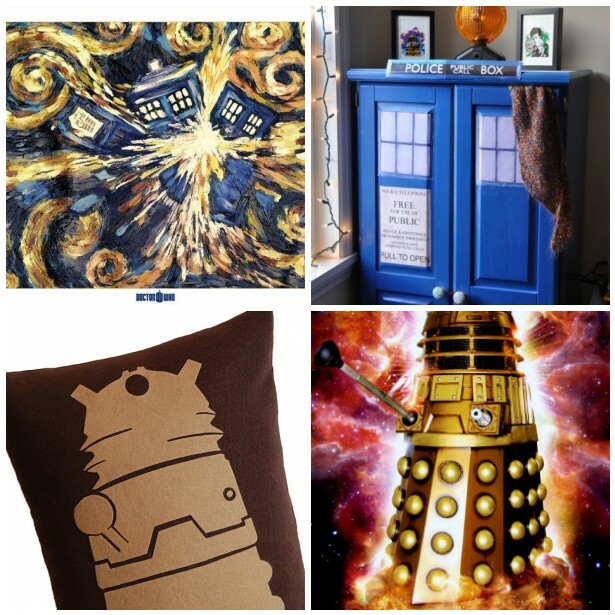 Dr Who Scarf patterned curtains? 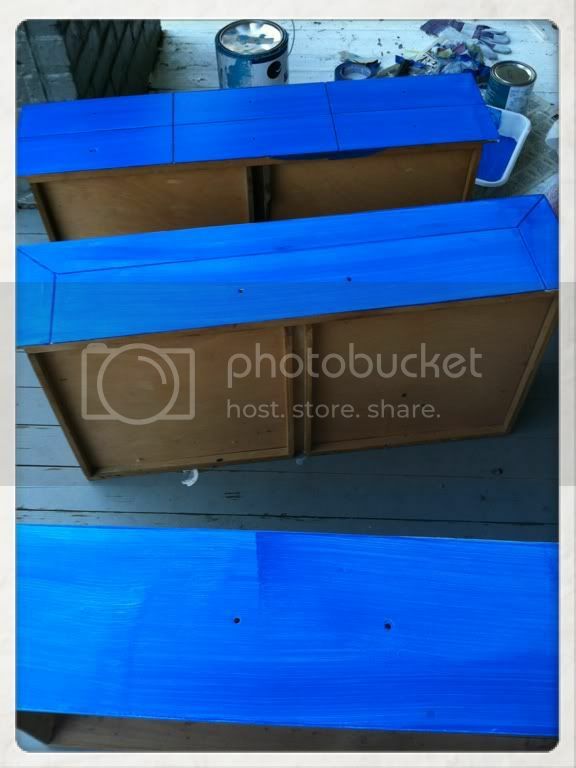 Love that shade of blue you are painting the dresser! Have fun decorating, sounds like a cool project.